I’ve told these people to take me off their mailing list three times; they haven’t complied. Therefore I feel no compunction about posting an email I got from the Journal of Reproductive Medicine. Remember, my scientific work never had anything to do with reproductive medicine. These people (maybe it’s one person) are desperate since they have to get some more papers within a few days, and therefore are trawling all scientists in hope of getting a bite. Below they want me to submit a two-page “case report”. I have a strong inclination, which I won’t act on, to simply make one up. Perhaps you can suggest a topic! We are delighted to update you that Global Journal of Reproductive Medicine is planning to release Volume 6 Issue 4by the end of December and we are deficit of two articles to accomplish this issue. Poor Vanessa—her ranking isn’t high enough! Oh, and I looked up the address. 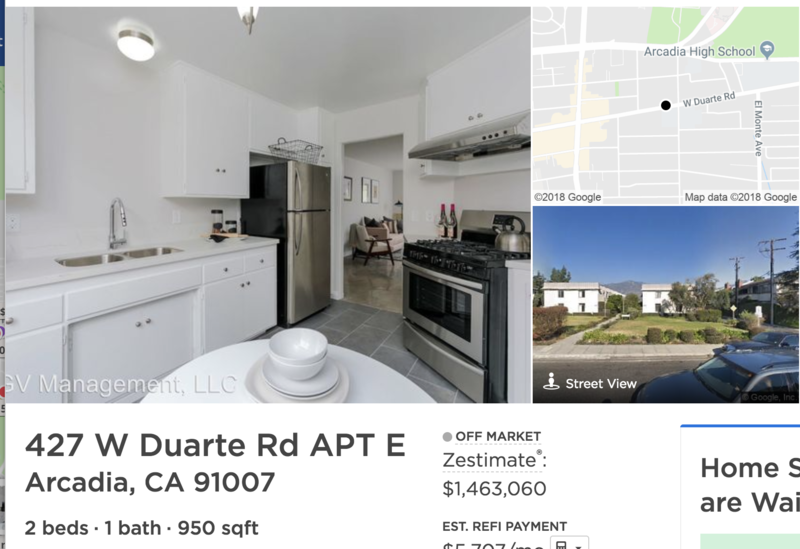 It’s not a suite; it’s an apartment in an ugly complex in California. Someone lives in that apartment and pretends it’s the office of a journal, calling Apartment E a “suite”. LOL! Should I call the phone number? This entry was written by whyevolutionistrue and posted on December 17, 2018 at 7:45 am and filed under science publishing. Bookmark the permalink. Follow any comments here with the RSS feed for this post. Both comments and trackbacks are currently closed. $1.4 million for 950 square-foot apartment? That is insane. It’s hard to believe how poorly written that request sounds. Welcome to California. Must admit when I first looked at it I misread it for $1463 a month rent on a two bedroom. And that would be a lot of rent most places, but not California. Maybe tell them, with the collapse of ADA there is no need for more papers on reproductive medicine. Dear WEIT readers – good morning….!….?….!….XD…. Are you sure you have the correct mailing address? You’re more likely to get a response from he latter. Via your local SWAT team. Subscribing to get notified of new comments on a topic when the person has no comment to make themselves. I apologize- my humor got out of hand. It was supposed to sound like the predatory journal editor asking for the first time on WEIT because readers like me write “sub” and hey where are you going? That was also supposed to be humorous. It’s due to WordPress not making it possible to subscribe to a comment thread unless you’ve posted a comment. You could submit a brief report on the fecundity of mallard ducks in small ponds on college campuses in Illinois. Make it a photo journal. I looked up the journal on google. Looks like they collect articles and publish on line. It says it is an open access journal. Founded by two young looking men in 2012. Had pictures an title of a dozen or so people. No picture and title for Vanassa. She may be someone working partime out of her apartment. Most of the people probably do that . It seems that the Global Journal of Reproductive Medicine is but one of about 76 published by Juniper Publishers. According to their website, they charge $1000 to have a “research” article published by an author from a high income country. Considering the number of journals they advertise, it would appear that Juniper is profitable. Indeed. If one googles the phone number one gets hits on phone scam sites and other dubious journals and articles. Delightful. Just curious – looked up this address on zillow and it is not currently for sale so no need to rush in. The monthly on their estimated price and financing would be $5707. 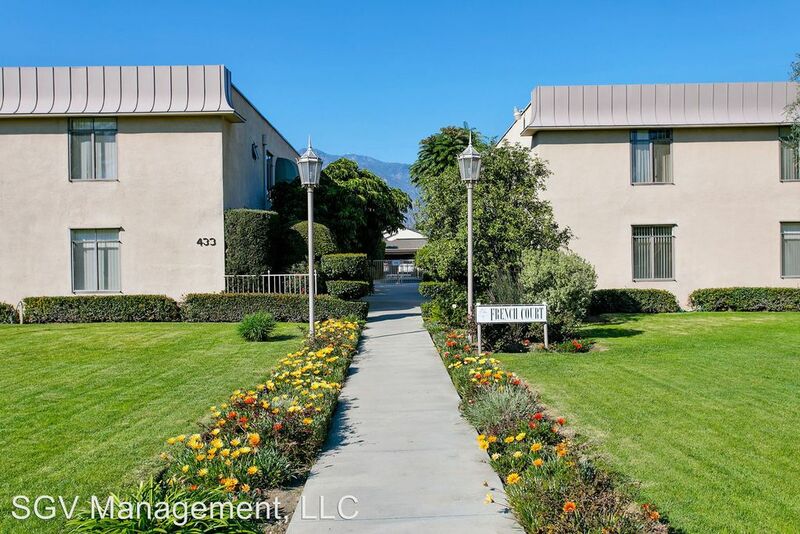 Note that location is everything and this location Arcadia is just east of Pasadena. The one covered parking place is included but community laundry. Very much looks like a converted Apartment complex to Condos. Digs befitting a Nigerian prince. Or Yasser Arafat’s widow https://www.sophos.com/pl-pl/threat-center/threat-analyses/hoaxes/scam/arafat.aspx, who’s approached me several times. PCCE thinks that this condo apartment complex is “ugly,” but if I were the owner I would know that the Zillow estimate of almost $1.5M, amounting to $1540 per SF, is beautiful. No, that would depend on your business. Send them something from Titania. My first job was for a direct mail marketing firm (part-time in college). Part of the value we brought to our customers was that we went through the list, and identified the correct salutation: Dr. Coyne or Jerry. Nothing says I bought your name in a list like pulling it all into the greeting. On the contrary, Ms Moore has clearly mastered (?mistressed?) Phishlish. Jerry, it’s probably easier to just mark the sender as spam or to use other blocking/filtering tools in your email program to stop seeing emails from that sender/domain. The people who live there go by Chen or Cheng who are almost certainly just a ‘cutoff’ on a retainer for the receipt of mail & the banking of cheques. Sirisha above has a LinkedIn profile that has a lot of positive endorsements but it looks like a large ring of fake LinkedIn pages endorsing her. The CV is strange with a string of jobs at what might be real or fake companies [this sort of shenanigans is common on LinkedIn – LinkedIn is crap]. She claims to have studied at “ANU”, but doesn’t link to ANU & no profile pic. You could submit a brief report on the fecundity and sexual behaviour of Drosophilae melanogaster, including the manifest percentage of homosexuality among them, and that there is no way of interfering medically! Personally, I would just ignore. Answering tells them that they’ve found a live address. The reason why your “stop emailing me” appeals to her failed is because you didn’t address her with “Your Highness” and equally flattering superlatives, and then launched into a get rich scheme involving accepting large amounts of cash from an overseas account belonging to your recently deceased family pet coprolite, etc.